ASSIKINACK (Assiginack), FRANCIS, public servant and school teacher; b. 1824 on Manitoulin Island, Upper Canada, son of Jean-Baptiste Assiginack and his second wife, Theresa Catherine Kebeshkamokwe; d. 3 Nov. 1863 at Manitowaning, Manitoulin Island. Jean-Baptiste Assiginack was for a long time prominent in the Ottawa band on Manitoulin Island, acting as a bridge between his people and the officials of the Indian Department. 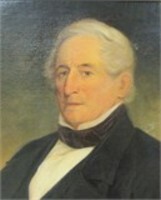 Jean-Baptiste’s close relations with whites were reflected in his decision to send his son, Francis, a young man of some promise, to Upper Canada College in Toronto. In 1848, his education at the college complete, Francis asked the Indian Department for support to study medicine in France; his request was denied. The young Ottawa next proposed he be allowed to study medicine in Canada; this request too was denied, on the grounds that the Indians, whose funds would be used, would not receive benefits proportionate to the cost of such a project. 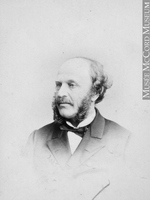 In June 1849 the civil secretary, Thomas Edmund Campbell*, offered Francis the post of clerk and interpreter to Thomas Gummersall Anderson*, superintendent of the Indian Department in Toronto, at a salary of £100 per year, suggesting it was time he showed some results for all his education. When the young Ottawa replied that he wished to stay in school, Campbell brusquely urged him to take the departmental job. Assikinack was not happy as a clerk. Anderson commented that while he was of good disposition he did not seem to be well qualified for the post. 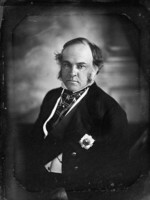 When the school at the Roman Catholic settlement of Wikwemikong on Manitoulin Island asked for a master in 1850, the governor general, Lord Elgin [Bruce], suggested that Assikinack, himself a Catholic, take the position, for he could be of great value to his people in disseminating the knowledge he had acquired partly at public expense. After one year as clerk Francis Assikinack left Toronto. His father, recently retired, was living on Manitoulin Island, but nearness to his family did not make the young man happy as a schoolmaster. After three and a half years of frustration his temper broke. It was against Frederick O’Meara*, the strong-minded Church of England missionary at Manitowaning, that Assikinack directed his hostility, damaging some of the missionary’s property and swearing at him. As a consequence of this uproar Assikinack was reposted to work under Anderson in the Indian Department at Toronto as chief clerk in 1854. 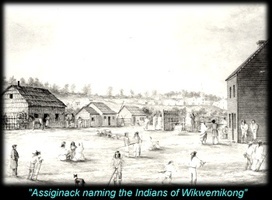 Assikinack had been present as interpreter at Owen Sound in 1851 when lands along the Saugeen River were surrendered by Indians, and in the years following 1854 he frequently participated in treaty negotiations, such as that of Manitoulin Island in 1862. He retained the position of chief clerk in Toronto until September 1863 when he became seriously ill with consumption; he returned that month to Manitoulin Island to die before the end of the year. The careers of the Assikinacks, father and son, indicate that the conduct of Indian-white relations would never run as smoothly as hoped by certain humanitarian reformers. The educational process favoured by whites might seem to succeed in its goals, as in Francis’ case, but the dispensers of it could not assume that it would produce an individual who was quite content to return to his own people in a preordained role. That the 19th century failed to perceive this possibility was tragic. MTCL, Samuel Peters Jarvis papers, vols.B58–B60. PAC, RG 10, vols.118, 129–39, 511–12, 532–35, 572–74. Canada, Indian treaties and surrenders [from 1680 to 1906] (3v., Ottawa, 1891–1912; repr. Toronto, 1971). The roll of pupils of Upper Canada College, Toronto, January, 1830, to June, 1916, ed. A. H. Young (Kingston, Ont., 1917). H. G. Tucker, “A warrior of the Odahwahs,” OH, XVIII (1920), 32–36. Douglas Leighton, “ASSIKINACK, FRANCIS,” in Dictionary of Canadian Biography, vol. 9, University of Toronto/Université Laval, 2003–, accessed April 24, 2019, http://www.biographi.ca/en/bio/assikinack_francis_9E.html.